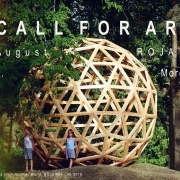 ROJA ART LAB. 22. July – 4. August 2018. 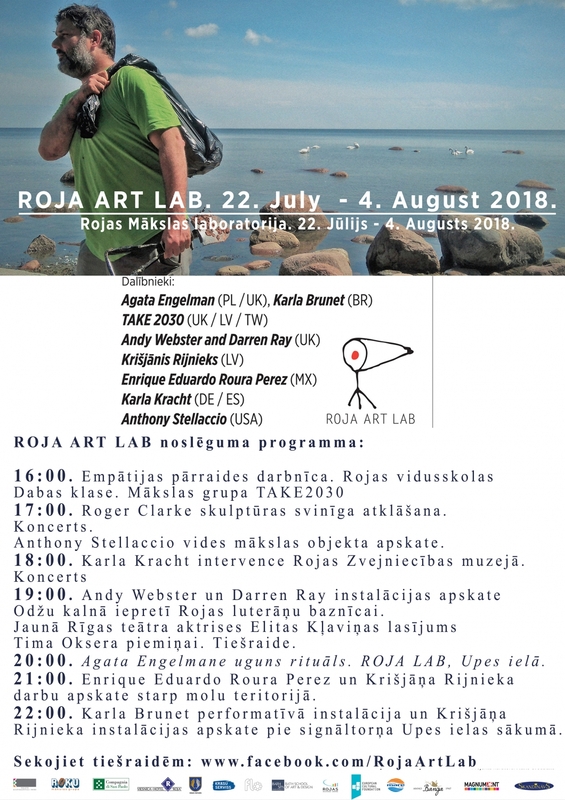 Hi everyone, if you are sitting in the back garden lounging in the sun you might like to listen in to ‘Signals From Another World’ – a live radio broadcast from Roja Art Lab everyday this week. Selected by artists, writers, poets, and musicians from Latvia, USA, UK, and Germany, the playlist explores sound, music, texts, film trailers, cooking recipes, political speeches, afro-futurism, disco, sci-fi, contemporary dystopias, and earlier visionary ruins. 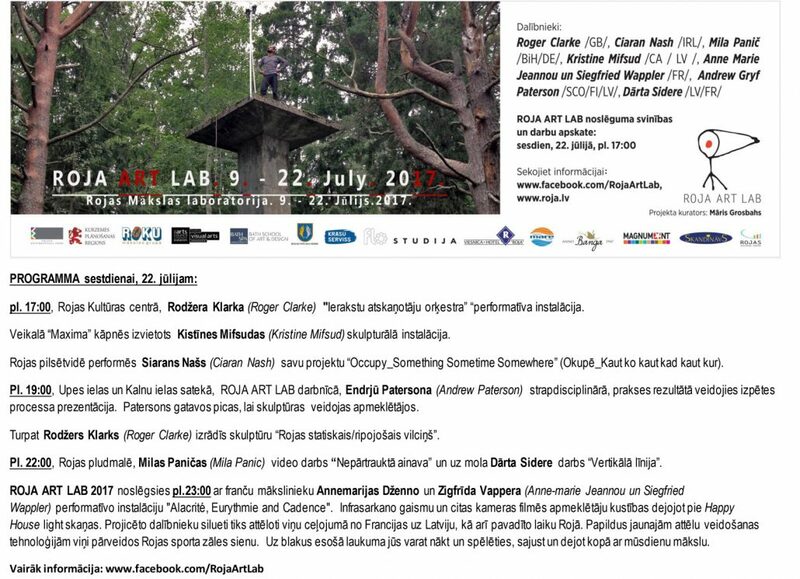 It is part of a project by Darren Ray & Andy Webster, participants in Roja Art Lab, 2018.
https://rojalab.lv/wp-content/uploads/2018/07/RojaART2018proc.jpg 816 2000 gatispoikans https://rojalab.lv/wp-content/uploads/2017/11/roja-art-lab-logo.png gatispoikans2018-07-31 10:56:242018-07-31 13:17:50ROJA ART LAB. 22. July – 4. August 2018. 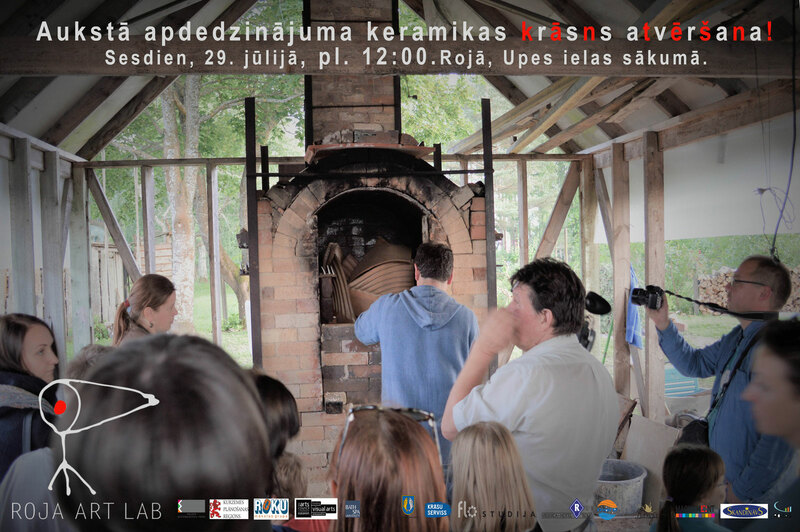 Today from 16h to 18h! See you in Pop up show!!! 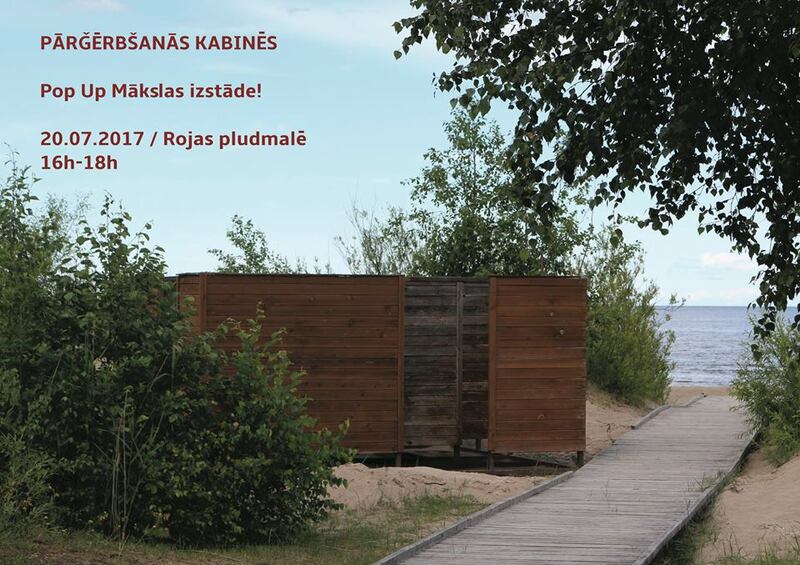 https://rojalab.lv/wp-content/uploads/2018/01/20106603_1791214087559390_682605392902855955_n.jpg 678 960 gatispoikans https://rojalab.lv/wp-content/uploads/2017/11/roja-art-lab-logo.png gatispoikans2017-07-19 12:51:022018-01-03 18:52:57Today from 16h to 18h! See you in Pop up show!! !